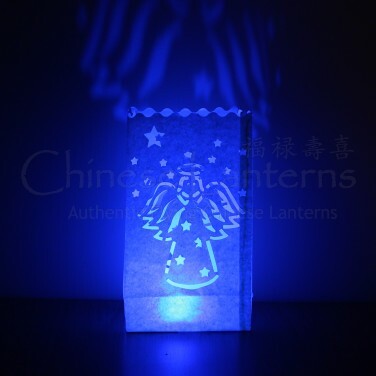 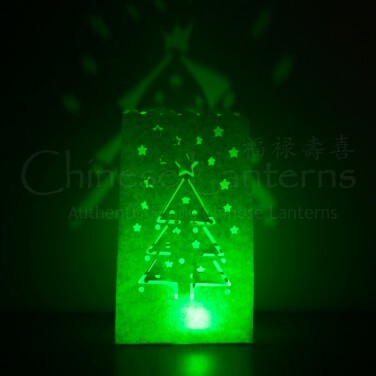 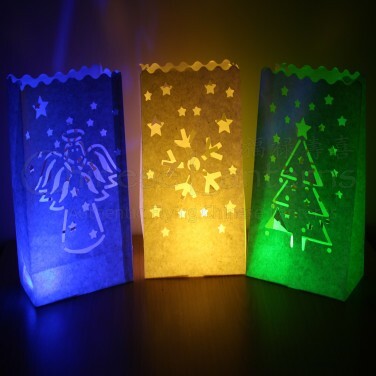 Simply stylish Christmas themed candle bags cast a warm, festive glow into your home this Christmastime. 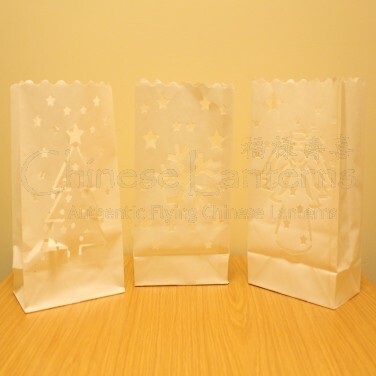 A simple but effective Christmas decoration, Christmas candle bags come in packs of three each containing three different designs: Christmas tree, angel and snowflake. 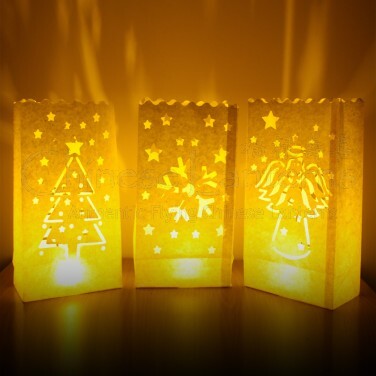 Place around your home with an LED tealight candle inside and the cut out design will illuminate casting a warm and cosy glow.